Penguin has opened a fancy restaurant called The Penguin's Nest. There every order has to be written down by the customers on a piece of paper. He then plans to get himself arrested and hand over the handwritten notes to a forger doing time by the name of Ballpoint Baxter. Suspecting a scheme, Batman urges the police not to send The Penguin back to his permanent cell. 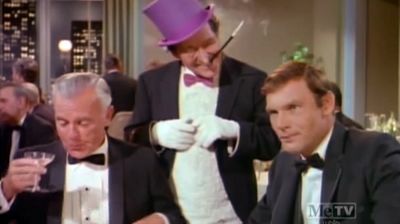 Unable to reach Ballpoint, The Penguin and his culinary cohorts escape from jail, taking Chief O'Hara along as a hostage.